Buy me some peanuts and Cracker Jacks - and throw in some pistachios, pretzels and root beer while you're at it! 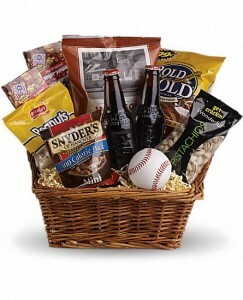 This bountiful basket spoils the baseball lover with yummy treats for the seventh inning stretch, plus a baseball to work off the calories with a game of catch! What a fun summer gift basket, Mother's or Father's Day present. Let us know their favorite team and we'll try to decorate for it! 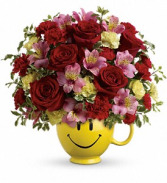 Don't want to send a big Edible Bouquet, but still want to send something yummy? 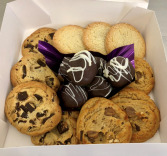 Our Cookie Berry Box is perfect!!! 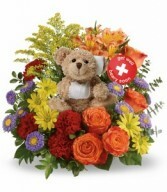 TELEFLORA - 2 GIFTS IN ONE!